The Nsukwa River, which turned red on Saturday sending shock waves across the New Juaben Municipality of the Eastern region, was as a result of a chemical, local authorities in the area have clarified. 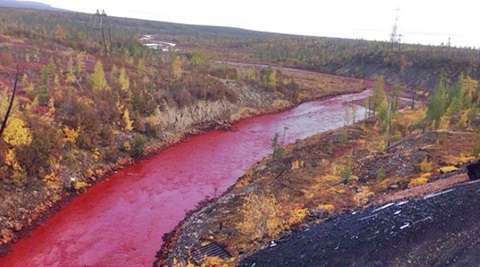 The Kontihene of Koforidua, Nana Nyantakyi, who visited the river 9oafter reports of the colourised river got to his attention, noted that it was caused by someone who was doing ‘tie and dye’- a chemical used to colour fabrics. “I have personally also gone around and realised this is not blood. The Nsukwa River has not turned into blood; it is just colour from somebody doing his tie-and-dye,” he told Accra FM.